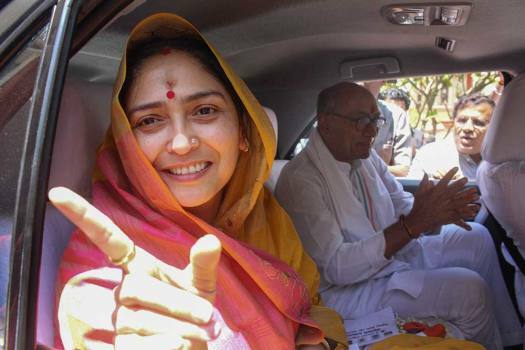 Congress candidate from Bhopal constituency, Digvijaya Singh, takes part in 'Parikrama' of Jain community during 'Panchkalyanak Mahotsav' at Ayodhya Nagar in Bhopal. 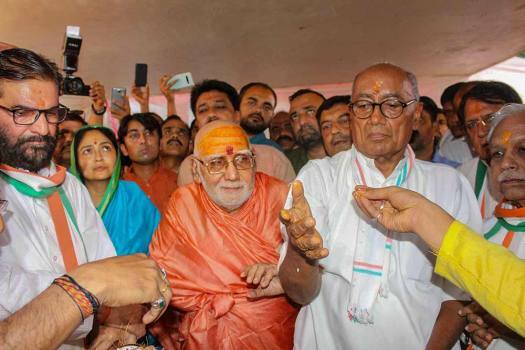 Senior Congress leader Digvijay Singh with Swami Subodhanand Maharaj Ji and supporters at the inauguration of his election office for the Lok Sabha polls, in Bhopal. 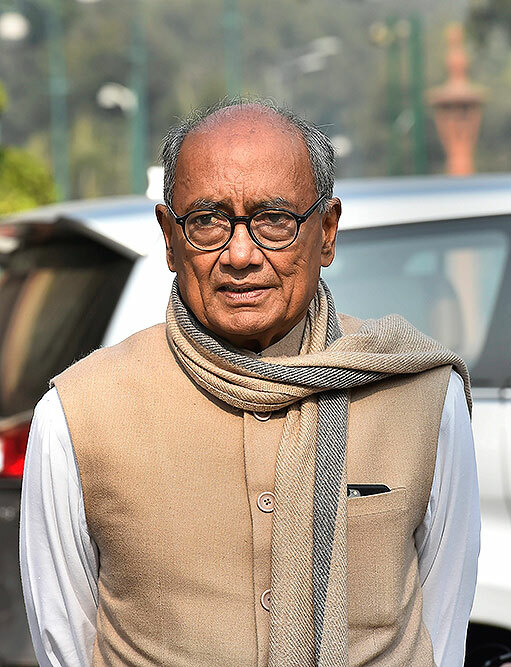 Senior Congress leader Digvijay Singh during the Winter Session of Parliament, in New Delhi. 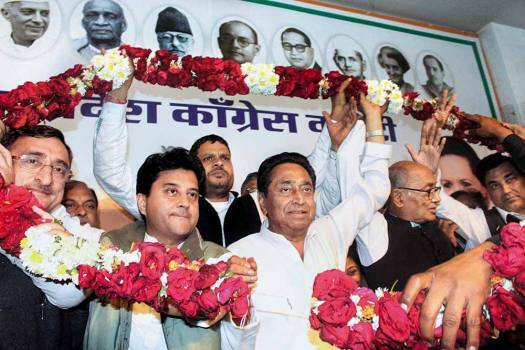 Senior Congress leader Digvijay Singh with his son and newly elected MLA Jaivardhan Singh in Bhopal. 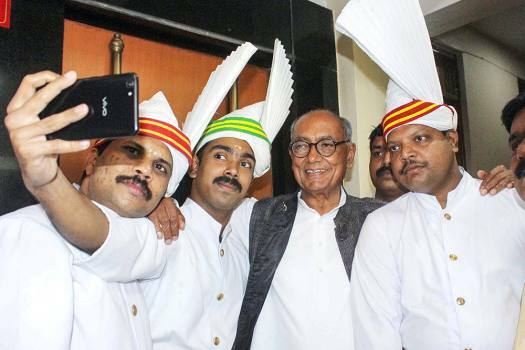 Senior Congress leader Digvijay Singh poses for a selfie with hotel staff during his visit at Indian Coffee House, in Bhopal. 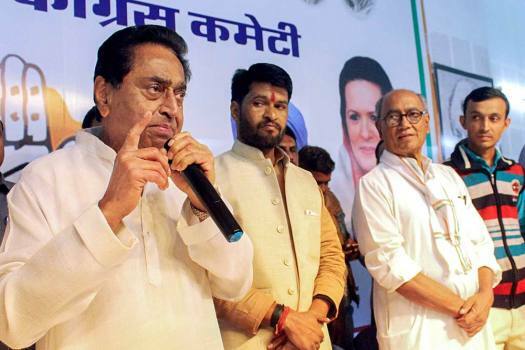 State Congress president Kamal Nath and former Madhya Pradesh chief minister Digvijaya Singh interact with party workers ahead of state Assembly elections, Bhopal. 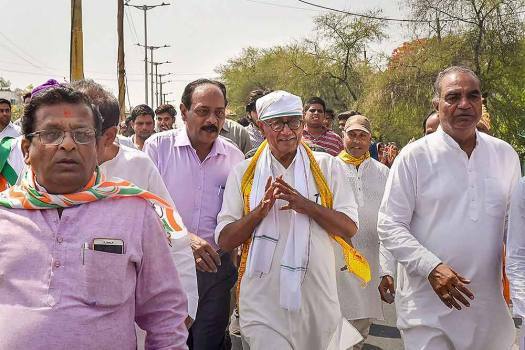 Patidar Anamat Andolan Samiti (PAAS) leader Hardik Patel and former Madhya Pradesh chief minister Digvijay Singh during Kalki Festival in Sambhal. 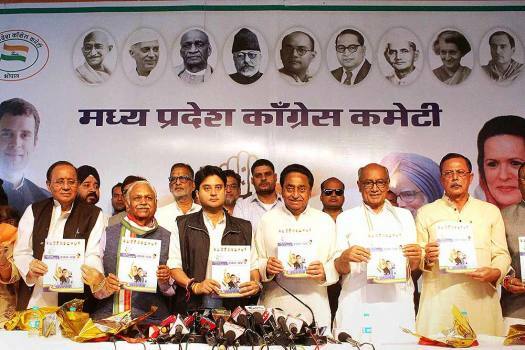 Madhya Pradesh Congress President Kamal Nath and senior party leader Digvijay Singh during a meeting with the contractual guest teachers at PCC headquarters in Bhopal. 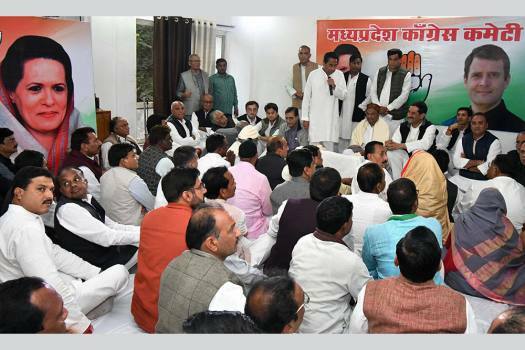 Congress leader Digvijay Singh during a meeting with Bihar party leaders, in Patna. 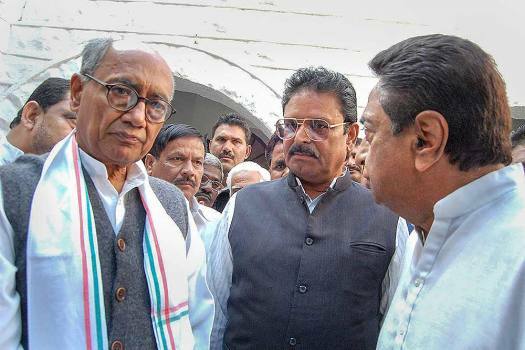 Congress President Rahul Gandhi (L) with senior leader Digvijay Singh and MPCC President Kamal Nath during a public meeting in Satna. 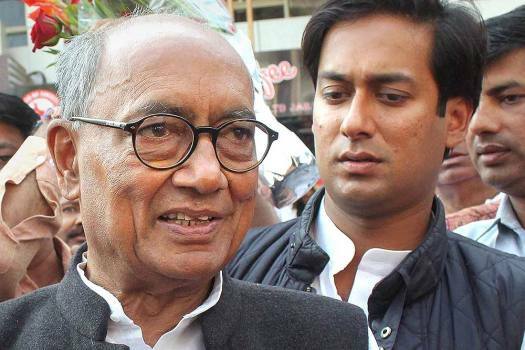 When Congress veteran Digvijaya Singh asked the crowd at an election rally in Bhopal if anybody received Rs 15 lakh in his bank account, a youth's reply left him red faced. 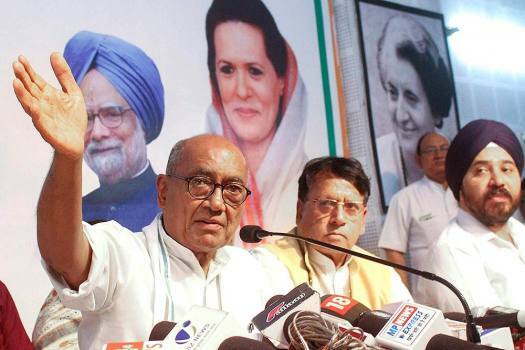 Digvijaya Singh's remarks come amid the controversy over Sidhu's comments after the Pulwama attack wherein he asked whether an entire nation could be blamed "for a handful of people". 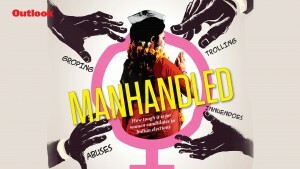 'In the 2013 Assembly polls, there were around three per cent bogus voters. This time around, we got the electoral list pruned before the elections, Digvijiaya said. 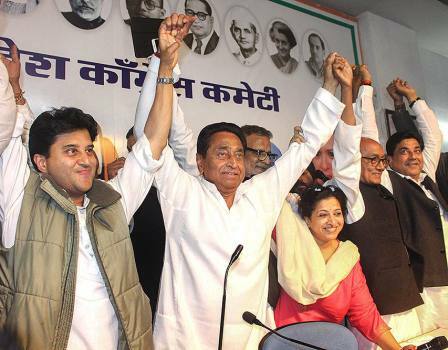 The senior Congress leader further claimed that while he was the chief minister of Madhya Pradesh for 10 years, no corruption allegation was levelled against him. 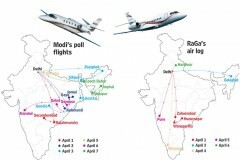 He also asked BJP workers to stay humble, adding that the Congress and the Left were brought down by their "arrogance". 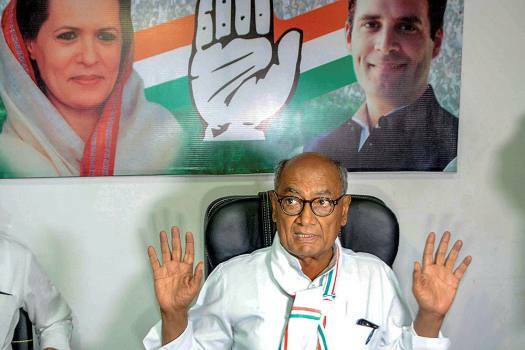 Congress leader Digvijay Singh on 'missing' Rahul Gandhi. 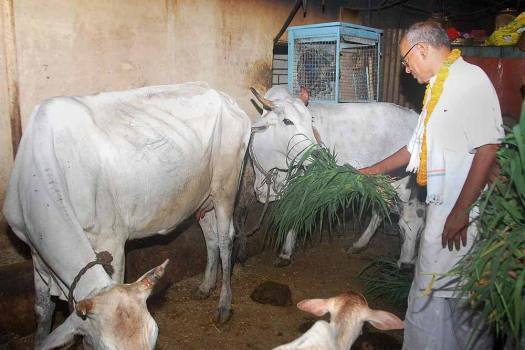 Could the wily Raja of Raghogarh be staring at insignificance? 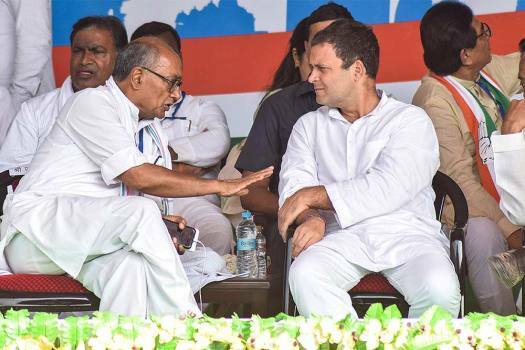 Digvijay Singh Ko Gussa Kyun Aata Hai? 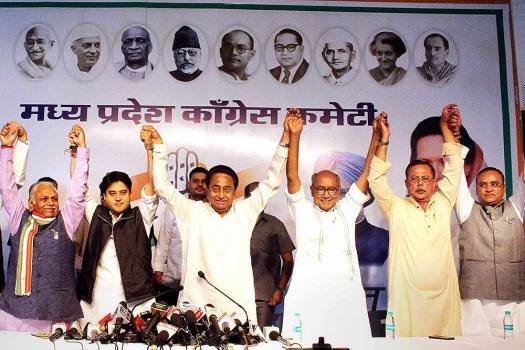 He also said that the BJP should accept defeat in the state.